Taipei is the capital of Taiwan, the metropolis city and the paradise for the fashion enthusiast. 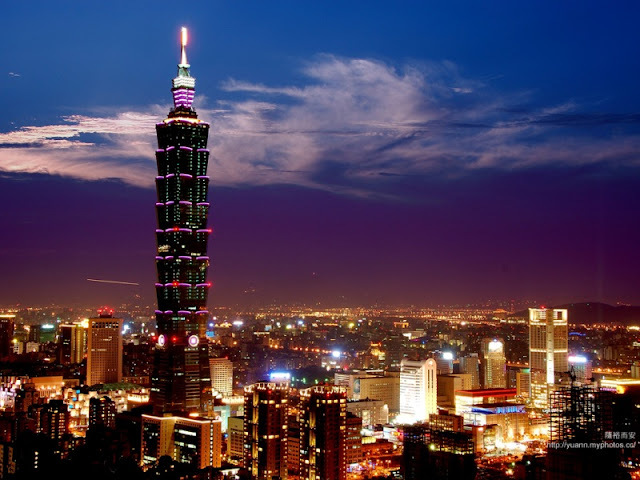 Taipei is also one of the economic centers in Asia as well as in the world. Many companies are headquartered here. It makes Taipei filled with towering skyscrapers. 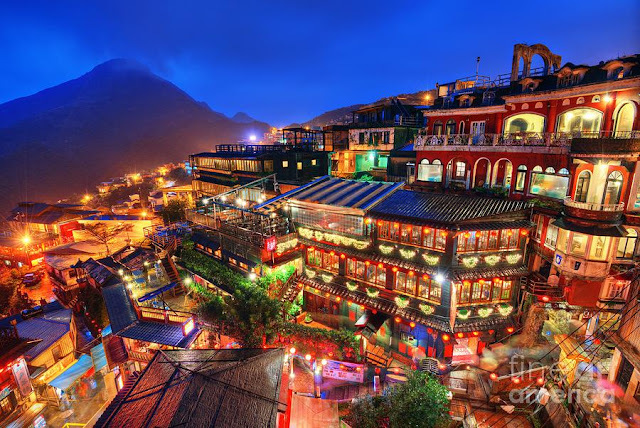 In evening is the most stunning scenery, glittering and glamor lights will make this city as it never experienced night. Not only skyscraper buildings that will make unnerved, you can enjoy shopping in Taipei. Many shops with famous brand are here. Restaurants also serve classy and modern food. Bored with the bustle of modern Taipei, have a visit the Confucius Temple that was built in 1879 in the Qing Dynasty. The beauty of the walls is decorated with Fuji ceramic makes the tourists come to visit. In this temple, you will be presented traditional dances and songs of Taiwan, which is dedicated to honor Confucius. Taipei is one of the popular places to visit in Taiwan. Better visited this place in February and March because it will be filled with blooming flowers. A wonderful blend between flowers and garden surrounded by rocky cliffs. 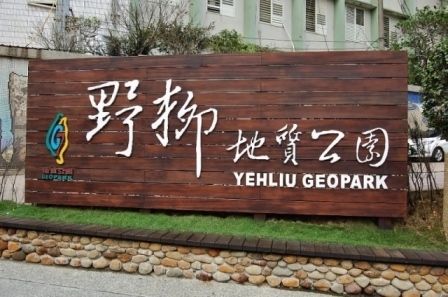 Yenliu Geopark shape resembles long peninsula jutting into the sea. When arrived in here, you will wonder how this place can be formed beautifully. This limestone rock formed by shifting tectonic plates and the sea water and wind erosion resulting the amazing form of the rock. Its shape as if the large limestone carved by hand. These rocks are named according to its shape, namely Carp Rock, Candle Rock, Ice Cream Rock, Cute Princes, Ginger Rock, Mushroom Rock, famous Queen's head, Elephant Rock, Fairy's Shoe, Earth Rock, Dragon's Head Rock, Gorillas Rock, Marine Bird Rock, BBQ Drumstick, Tofu Rock, Honeycomb Rock and Leopard Rock. Additionally in Yenliu Geopark built a statue dedicated to the fishermen who had sacrificed his life to save a small child whose abject. It is an unforgettable tour. 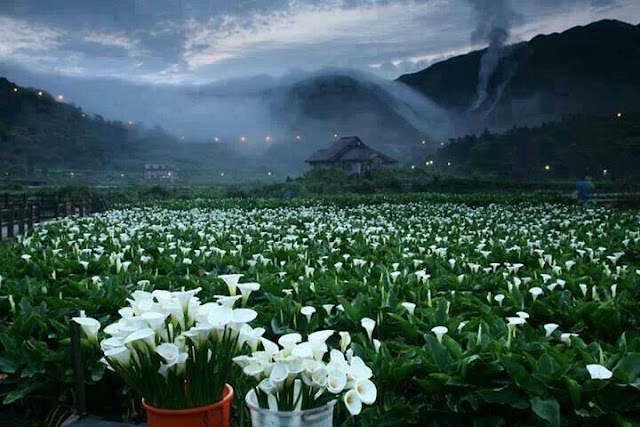 Yilan has several tourist attractions worth visiting which are Luodong Sport Park. An area of 47 hectares which is divided into four regions, namely the sports arena, terrestrial landscapes, landscapes of water, and forests. In the sports arena, there are the sports field facilities, both indoor and outdoor swimming pools, a football field, and many more. 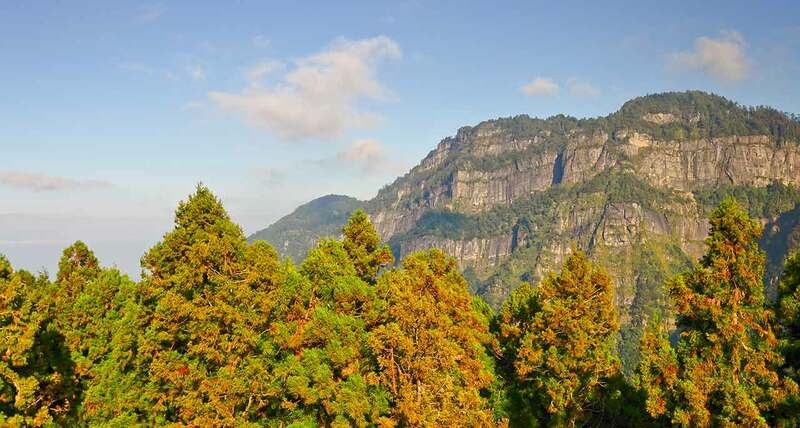 In this soothing forest you can walk around while seeing some of the local flora and fauna. If you want to see all views of the garden just came to the hill of Sky Waching Dune. This hill is the highest hill in this park. Other attractions in Yilan namely Honeymoon Bay. Honeymoon bay is the only beach in Taiwan equipped with sand. This beach is frequently visited by professional surfers who want to try the waves on these beaches. There is also canal attraction. Dongsham River Water Park is a 24-kilometer artificial canal made for citizens to enjoy the open space and interact with nature. Each year dragon boat festival is always held in this place. The stunning old town, a quiet and peaceful retreat. Many building design were dominated by Chinese building. To get here you have to take the winding, narrow and steep. 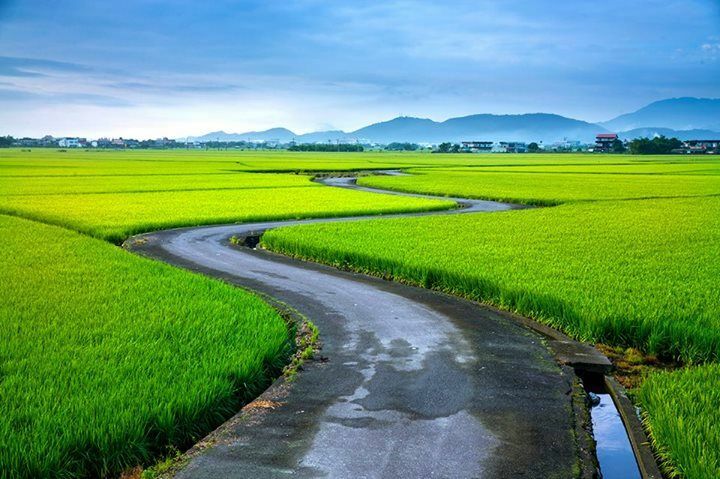 But the scenery offered will be very comparable to the journey. In the area of protected forest there are mountains, waterfalls, hiking trails and the tea plantations. If you are a nature lover, you can do hiking. 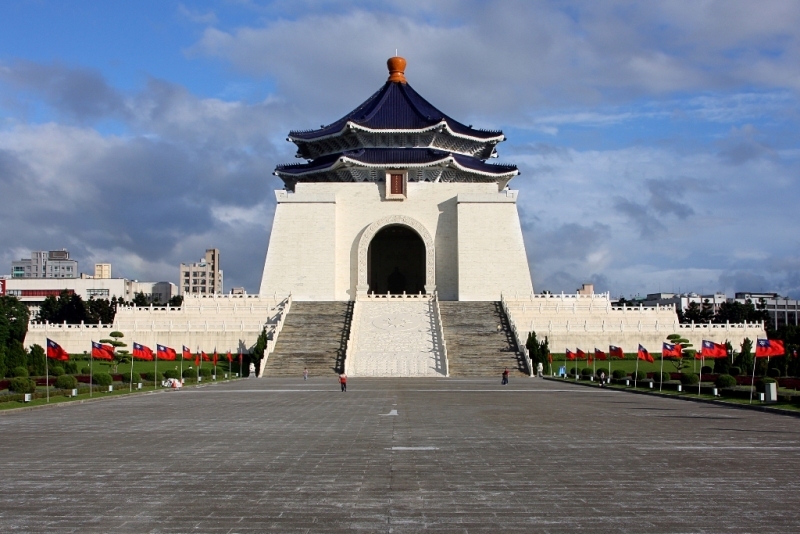 Taipei's city landmark that has always been a place to celebrate national events. 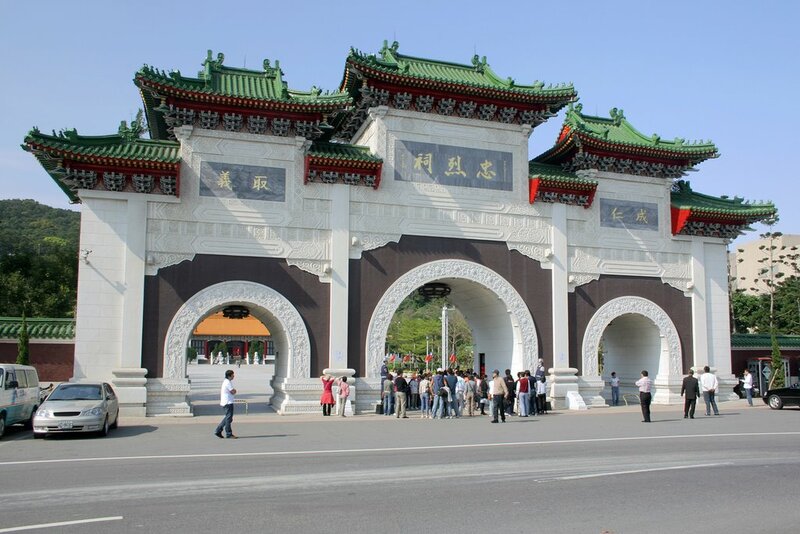 Here visitors can studied the history of Chiang Ka-shek, the leader of Taiwan in the 20th century. Also known as the Temple of the Martyr which is dedicated to the people of Taiwan who have willingly sacrificed himself in battle. The temple was built in 1969. Located on Chingsan Mount, this temple also presents a beautiful view of the Keelung River. It is one of the famous hot spring in Taipei. 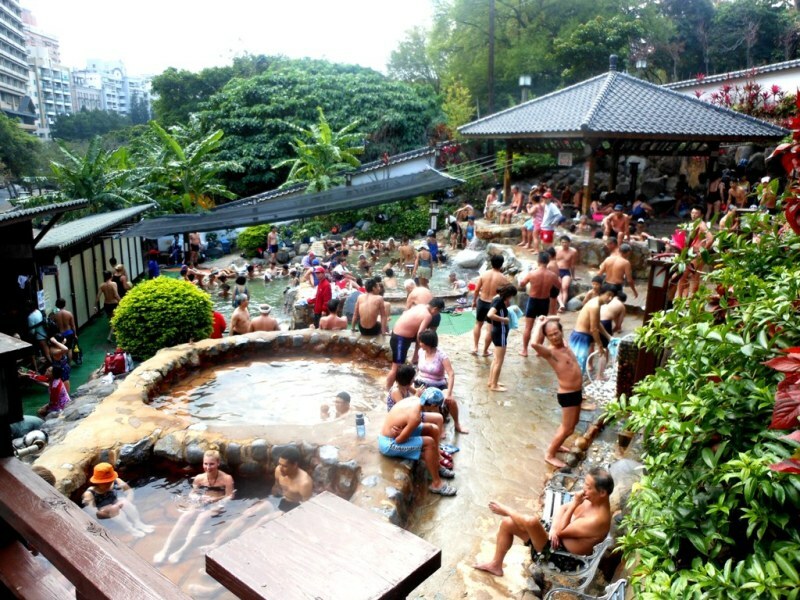 This region is famous with hot water resort since 1986. The area is surrounded by beautiful gardens, museums and temples. 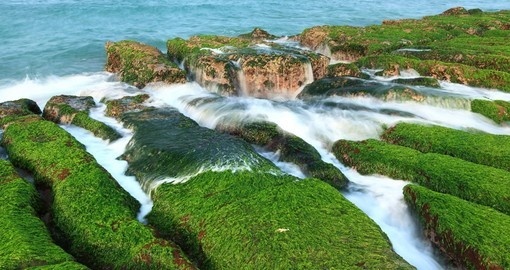 Pingtung is the name of a region in Taiwan which has a row of beautiful beaches with fine and soft sand. In addition, the weather in this Beach is always warm for entire year. So, for tourists who avoid the cold, this is the perfect place. In the area of Pingtung beach, you can sunbathe on the beach, snorkelling, paragliding exercise, and also play in the Kenting National Park that is listed as the oldest national park in Pingtung and Taiwan. Kenting National Park is one of the popular places to visit in Taiwan.